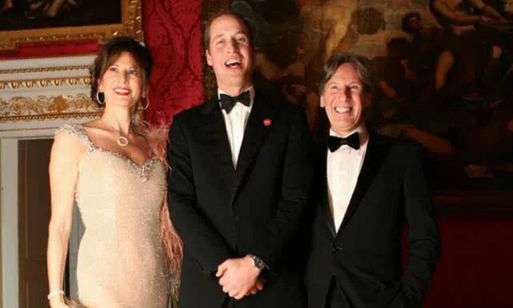 It was fantasy night in London, complete with royals, when jazz vocalist Deb Silver and her husband Steven Stone joined guests at the Winter Whites Gala at Kensington Palace. Prince William took the stage to sing to the 500 guests attending the ball, with Taylor Swift and Jon Bon Jovi, which raised funds for Centrepoint homeless children’s charity. 250 VIP guests received a limited edition EP of Deb Silver’s latest jazz recording In Spring.